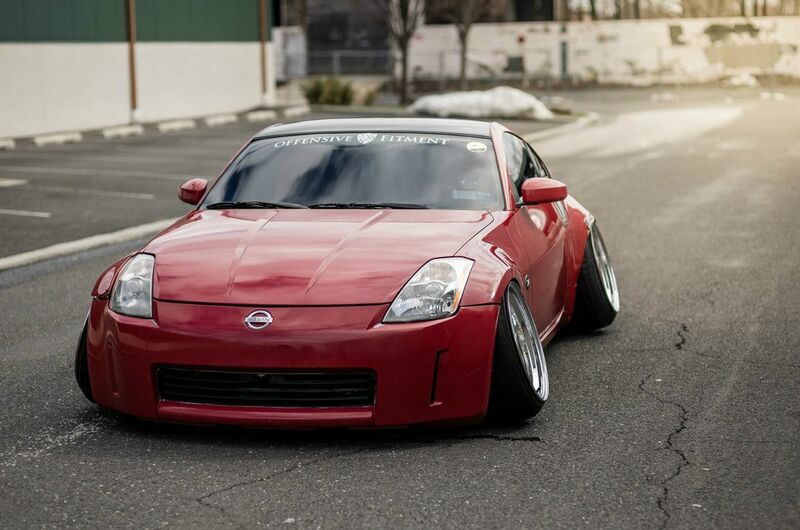 The fifth generation of the iconic Z Car is known as Nissan 350Z. Introduced in 2002, this model was in production for about 8 years, until 2009. Despite its age, the car still looks pretty attractive, thanks to its dynamic styling. Performances are even more impressive, competitive even for modern standards. 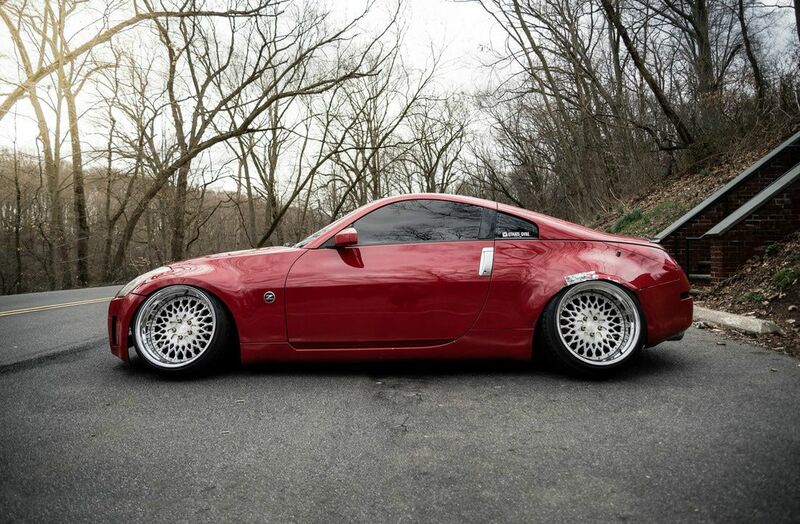 These are just some of the reasons why many car enthusiasts love 350Z. 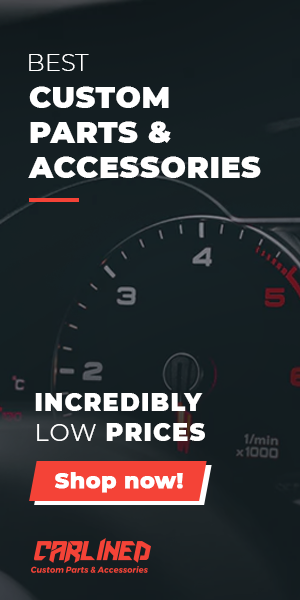 It is a sports car that offers a lot of opportunities when it comes to tuning. Although the vehicle is best-known for its coupe version, a convertible body style is also available. 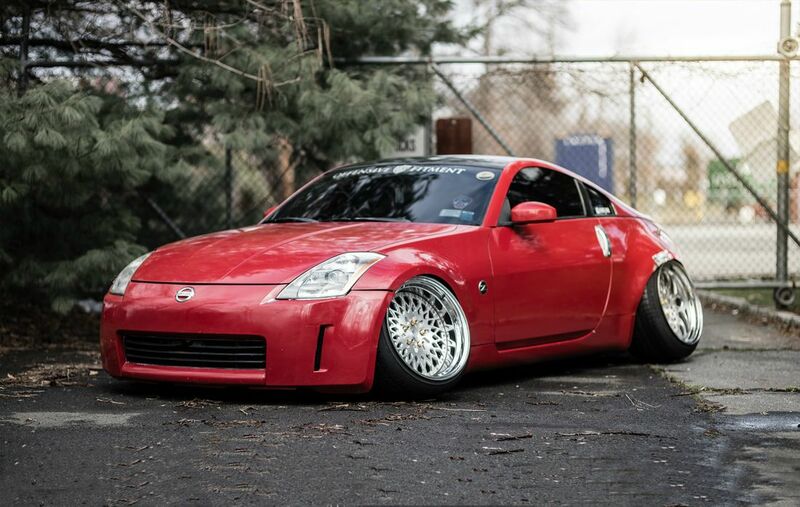 This Nissan 350Z has received some serious modifications, both regarding styling and performances. 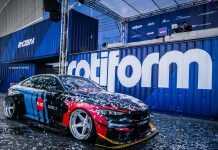 When it comes to suspension, this one relies on hi-quality coilovers, springs and other components from Megan and other renowned manufacturers. 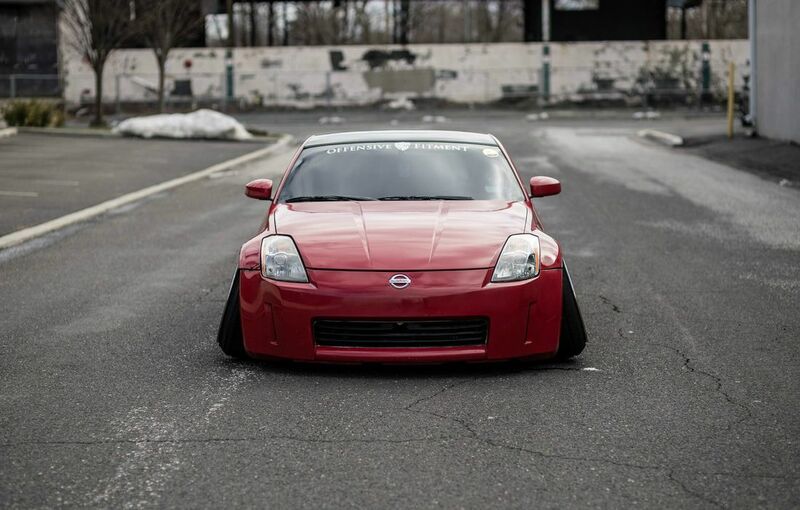 Also, there are SPC Rear Camber Arms. Wheels are pretty large. Avant-Garde Brushed Machined F140 rims feature 19 inches in diameter. 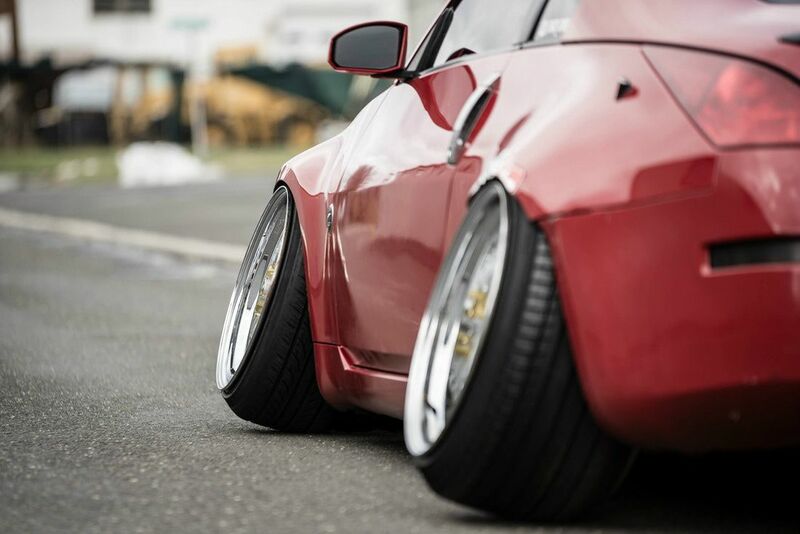 Width is pretty amazing as well – 11 inches at the front and 12.5 inches at the rear axle. In terms of exterior, modifications are pretty basic. There is a new Subaru Red finish, while the roof is painted in black. The body kit has remained pretty much unchanged. 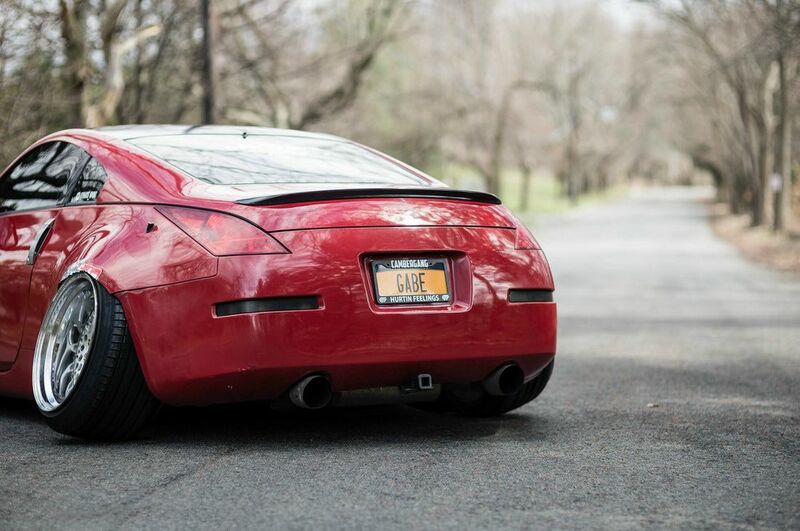 OEM bumpers are still on the car, while the most significant change is a custom made rear Widebody. Also, you can notice a nice black rear spoiler, as well as blacked out rear turn signals. Inside the car, changes are minimal. The biggest change is NRG Wood Grain Steering Wheel. You can also notice a nice JVC touchscreen at the dash, as well as Nismo shift knob. The owner also made some nice modifications concerning performances. We have to mention that this car comes with a powerful V6 engine, which already in stock version delivers more than 300 horsepower. Such tremendous amount of power has been increased with UpRev tuning software. When it comes to hardware, there are new long tube headers, as well as the new dual exhaust system. Finally, there is NISMO Short Shifter, which is designed to reduce shift flow and improve overall shifting feel. For now, those are the most critical modifications on this beautiful coupe, though the owner pointed that this is actually a never-ending project, so we can say that there are many things left to be done on this car in the future.